Home › Blog › Article › Community › R.I.S.E. Demonstration Center Grand Opening! R.I.S.E. Demonstration Center Grand Opening! Cunningham | Quill Architects is pleased to announce the opening of R.I.S.E. Demonstration Center at St. Elizabeths East Campus. The R.I.S.E. 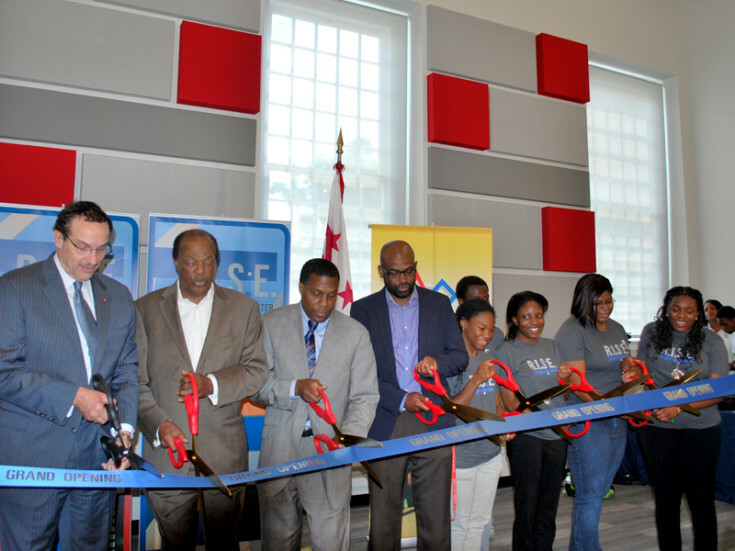 Demonstration Center is an adaptive reuse project intended to serve as an interim hub for Innovation and Technology Demonstration at St. Elizabeths East campus. Located adjacent to the Gateway Pavilion at St. Elizabeths East, R.I.S.E. is one of the preliminary projects as revitalization and adaptive reuse of the St. Elizabeths East Campus continues. 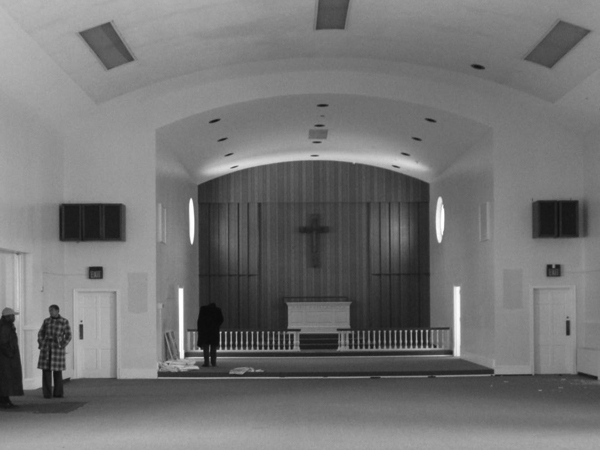 The existing two-story structure was originally constructed in 1955 as a Chapel for the St. Elizabeths Hospital. The adaptive reuse of the building includes the conversion of the main space into two flexible spaces for gatherings, programs, and conferences on the main level. 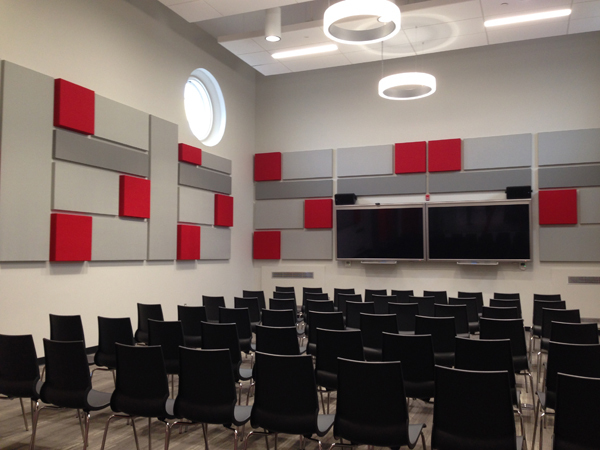 On the lower level, the original classroom area has been converted into a Digital Inclusion Center to serve the community and a new video-conference center, seminar spaces, and an office for use by community leaders. This exciting program is bringing new life to the historic structure and to the East Campus, and Cunningham | Quill is excited to be part of this effort with the District of Columbia’s Office of the Deputy Mayor for Economic Development and the Department of General Services. Working as a Design-Builder with GCS, Inc, Cunningham | Quill led a multi-disciplinary design team which included Robert Silman Associates, Setty Engineering, Polysonics, Inc., and Sustainable Design Consulting. The project was completed in less than 6 months. Cunningham | Quill is currently working with Landscape Architecture Bureau, Citelum, and GCS, Inc. on the design for a new path from the Congress Heights Metro to R.I.S.E. The existing chapel, built in 1955. One of two flexible spaces on the main level for gatherings, programs, and conferences. The R.I.S.E. 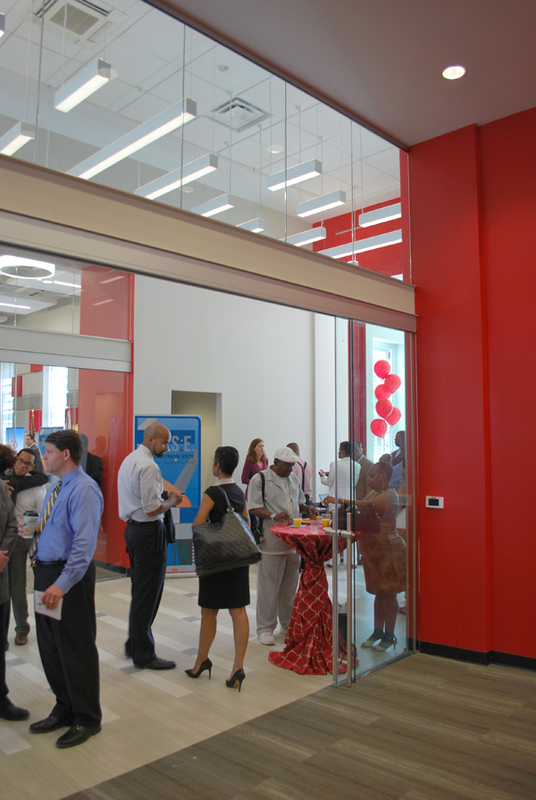 Demonstration Center during the Grand Opening, on Wednesday, August 13, 2014.